Every so often, we like to take some time out to spotlight one of our products. Today, we’re going to look at one of our lesser known, but incredibly important products known as the load backrest. If you have ever been witness to the paralyzing site of a pallet falling off the backend of the forklift, you need a load backrest. A load backrest is a rack extension that can be bolted or welded onto the carriage of a forklift to prevent a load for shifting during movement. 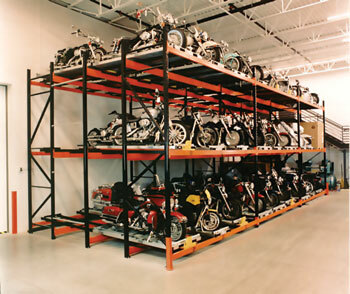 Essentially, a load backrest is your safety net for valuable cargo. Our load backrests can be easily bolted onto your forklift to protect pallets from falling off of the forklift. Installation of our load backrest is incredibly simple and can be applied to your forklift or even pallet jack. We have been manufacturing these lifesavers since 1991. Our load backrests are made from heavy-duty carbon steel which ensures their strength and durability. Our load backrests are also sized for a variety of needs. We offer three classes, with widths in 36, 48, and 60 inches and heights of 48 or 72 inches. We also can work out specialized, custom sized load backrests. Our load backrests are designed with the OSHA philosophy that employee safety should be the number one concern. Our load backrests allow employees to move products safely and securely. The benefit of our load backrests is their simplicity, durability, and visibility. Each load backrest is designed to maximize strength and prevent product damage. This provides your operators a little more peace of mind when hauling product around the warehouse. We’ve been developing material handling equipment for over 20 years with durability in mind. Our load backrest is designed for longevity and has been tested to withstand incredibly tough operations and environments. With short lead times and a two day ship time, you have no excuse to protect your pallets from falling off your forklift. For more information about purchasing load backrests, contact Medlin Ramps online or give us a call at 877-4-MEDLIN.